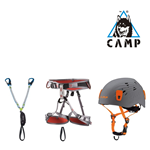 To increase the safety and performance of our world-class range of mountaineering crampons, C.A.M.P. 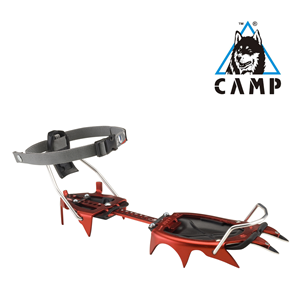 is proud to release new dynamic anti-balling plates that will come pre-equipped on all of our crampons starting in 2018. 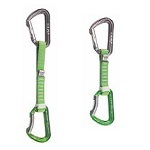 The new plates are also compatible with all previous versions of our current range of mountaineering crampons: Stalker, XLC, XLC Nanotech, Tour Nanotech, Tour 350, Race 290. The dynamic material flexes while walking to actively clear snow and the non-stick surface helps prevent initial sticking. 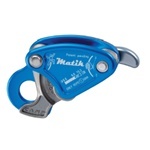 The plates attach to the crampons with super secure systems comprised of loops over the front points and metal plates and screws to lock them in the rear. 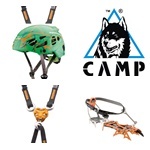 Raise The Bar: Choose The Innovation and Lightness of C.A.M.P. at the Crag, Too!